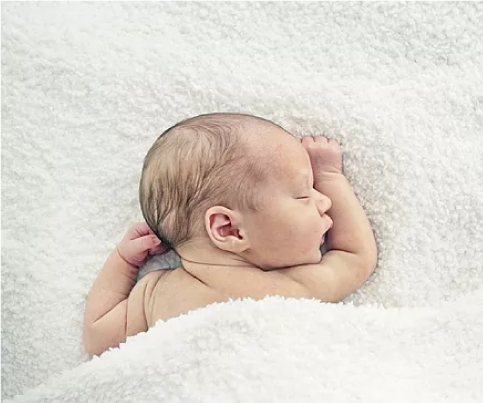 Blissful Birthing strives to provide exceptional support to families living and welcoming their babies in Westchester, Putnam, & Dutchess, NY and Greenwich, CT. Here are some kind words from just a few of our past clients. “Rebecca was a very sweet, kind, genuine person. This was my first pregnancy and she was extremely responsive and supportive via text and email throughout my last trimester. She helped me fine tune my birth plan and when my pregnancy went to 42 weeks and I had to be induced, she was there to remind me that everything was going to be OK! When we arrived at the hospital to start induction, she had a bag of goodies waiting for me. She came to the hospital moments after I asked her to, right in time. 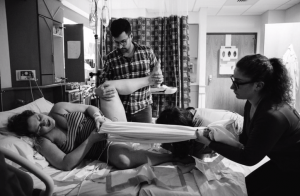 This wasn’t just my first experience with birth, it was her first experience as a doula for a vaginal birth, so I felt very much like we were on the same page. She was a great extra pair of hands, she was helpful, present but also knew when to take a backseat to the process and allow my significant other to be my number one. Having her at our birth was a comfort to James too. “Rebecca has worked with my family as a postpartum doula for over 2 months now. 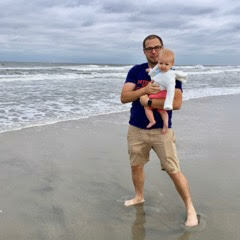 She came to us when I was feeling increasingly stressed from handling my 6 week old baby girl’s needs, my 4 year old boy’s adjustment to having a sibling, and my own self-care. Her presence in my home was calming from the start – which eased my worries, helped with the sleep deprivation, and allowed me to take better care of myself. She treats my daughter warmly and respectfully. She speaks to her, sings to her, reads to her, carries her in a wrap to soothe her, and balances my breastfeeding with formula when needed. My daughter now smiles when she hears Rebecca and turns her head in the direction of her voice. Rebecca is educated about and open to various philosophies and approaches. I’ve not felt judged by her for my parenting choices as I have sometimes felt with other caregivers. She truly collaborates with me in caring for my newborn. Many times she has had a pearl of wisdom for me as I worry about all the changes that come with a new baby – such as when I was concerned about my son saying he didn’t want to go to school anymore or when I worried my daughter wouldn’t sleep well if I held her “too much” as I had been warned. Her support in this way has made meaningful differences in how I feel. As she got to know me, she shared her knowledge and made appropriate referrals, connecting me to a weekly mom’s group as well as a psychologist who specializes in “everyday” parenting issues and sibling adjustment through play therapy. “I hired Rebecca (and Janet) in January for the birth of my daughter in April 2018. Both came to my house to go over how I wanted my birth to go. Both were incredibly professional, and I texted both maybe once or twice in between when I hired them and when I went into labor. I went into labor at night and called Rebecca the next morning once I was admitted to the hospital and she arrived right away. She immediately jumped into doula mode and would sit behind me while I was on my ball and press into my hips as I had a contraction- it lessened the pain so much! Rebecca also hung out in the bathroom for long stretches of time while I labored in the shower because the hot water made me feel much better. She would hold a cup of water with a straw for me to take sips and make sure I was staying hydrated. Rebecca’s presence also helped my husband and mother feel more comfortable because it took any pressure off of them- they knew Rebecca was there just to help me. Rebecca was so calm and soothing- she rubbed my hands, back, hips- and even put my hair up in a bun at one point because my hands were too swollen to do it myself. I cannot say enough amazing things about Rebecca as my labor doula, she was simply amazing and so important for my sanity throughout the process. I had a difficult labor and my daughter basically got stuck (her hands were up on her head, she was 9.13 lbs, posterior, and my cervix started to swell as I pushed and she did not come out). Rebecca was one of the only two people I could actually listen to and engage with while I waited for the hospital to ready the OR. I would make the most intense eye contact with her as she talked me through this- she had to snap me out of my funk a few times and even asked me later if she was too firm, I reassured her that she wasn’t- I needed her to snap me out of my agony. When we came back from the OR, she was there keeping my mother company and making sure that I was alright. She even pointed out that the nurses had left an oxygen tube in my nose that wasn’t even hooked up to anything anymore- which I quickly removed. It is so amazing to have someone there for you, I cannot stress it enough. “I also hired Rebecca to do placenta encapsulation for me. She explained the process at our first meeting, and then once I had my baby and got the permission from the hospital my husband took my placenta back home in the insulated bag Rebecca provided and she met him at our home. She processed the placenta and put the dehydrator on, she then returned the next day to process everything. 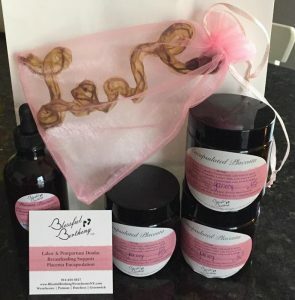 When I returned home from the hospital she had left my placenta pills, tincture, little baby booties, and a part of my umbilical cord that she had spelled out “love,” and dehydrated. Rebecca is the kind of person that takes the extra time to do a little something special. 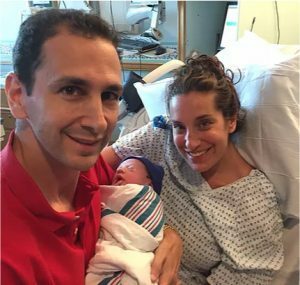 “I cannot overstate the profoundly positive impact of Rebecca’s overnight support as we welcomed my second baby, Teddy. 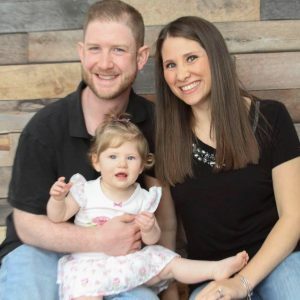 My husband and I initially weren’t sure about having someone come into our home for overnight support during this very vulnerable stage, however now we are fully in agreement that we will never again reproduce without Rebecca! We actually had a countdown to the moment when she would walk in the door each night, bringing an incredible sense of peace, wisdom and professionalism into our home. “Rebecca was open-minded and supportive of whatever plan worked for me as the mom. For example, at first it was very important that I exclusively breastfed every feeding, but later as I became exhausted and needed to skip a nursing session, she supported and carried out that plan without judgement. “We had Rebecca stay with us three nights a week for the first 6 weeks after my second child was born, and it was the best decision I have ever made for my family. Rebecca made the transition from one child to two children so much easier than I ever thought possible. I was hesitant to have someone in our space, especially at such a vulnerable and emotional time. But Rebecca has a way of being helpful without overstepping, and meeting the family’s needs in every situation. She also completely respected all of my choices, never pressuring me or making me feel that I wasn’t the one ‘steering the ship.’ For me, this meant that she gave my son bottles of breast milk and formula so I could sleep; for other friends of mine who have also used (and loved) Rebecca, this meant helping the mom breastfeed exclusively. “I can’t fully express my gratitude to Rebecca and Blissful birthing with just one positive review. I had been dead set on breastfeeding since I found out I was pregnant with my daughter, but as a first time mom I didn’t realize how rough (emotionally and physically) breastfeeding could actually be. When my daughter was born and unable to latch properly on one side, I was given Rebecca’s information. I called her on a Saturday and we made an appointment for a session for the very next day (Memorial Day Weekend, no less!). 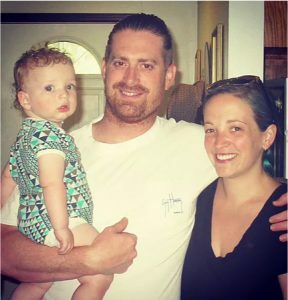 “Rebecca was a game changer for our family. 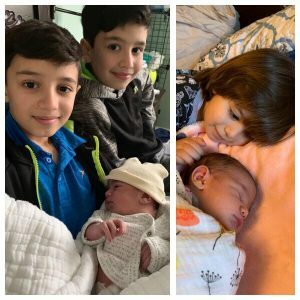 My wife had a C-Section for both of our children, which made it hard for her to ‘do it all’ the way she wanted to. The first time around we shared the night feedings, and we were still both exhausted for weeks. We made it work, but it made caring for a baby and going to work very difficult. Blissful Birthing respects our client’s need for self-care and time with their new baby. For this reason, testimonial request forms are sent out at the close of a contract to provide prospective clients with a source of referrals for Blissful Birthing, The phone numbers and/or email addresses of past clients are not given out to potential clients for the purpose of obtaining a reference.